Click on the images to see some of our happy campers! We loved the daily e-mail. Overall we are extremely happy with the overall value of the camp. Both boys had a great time and wonderful memories. Thanks for all of your work! 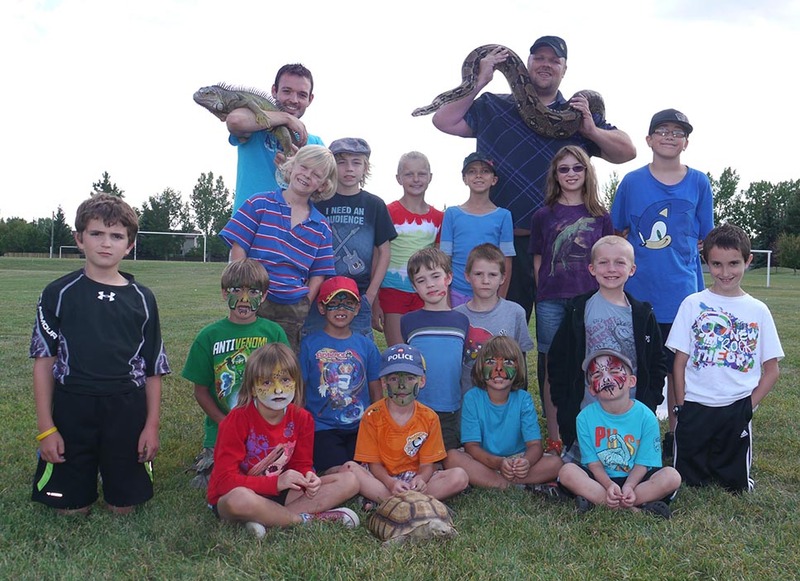 I would like to say that reptile camp is the best camp I've ever been to. Jason – you are the best reptile teacher in the world. You have a lot of knowledge about reptiles. You do an awesome job at what you do. Thank you for giving me the opportunity to learn and not be scared about reptiles and for the awesome memories. - Robert. The kids had so much fun and loved every minute of the camp. The best part was seeing the excitement in the kids when they got home and hearing all about their fun-filled day. Thank you for the daily e-mails, it was wonderful to hear about the kids day and great for them to keep to look back on. Keep up the great work! - Kate Train. The BEST camp I've ever been to! - Quinn. We liked the fun and learning in a great overall package. Quinn has now been for three years in a row and is definitely going in 2015. It is Quinn's favourite camp, ever. - Kathleen R.
Very happy with the quality of education provided. 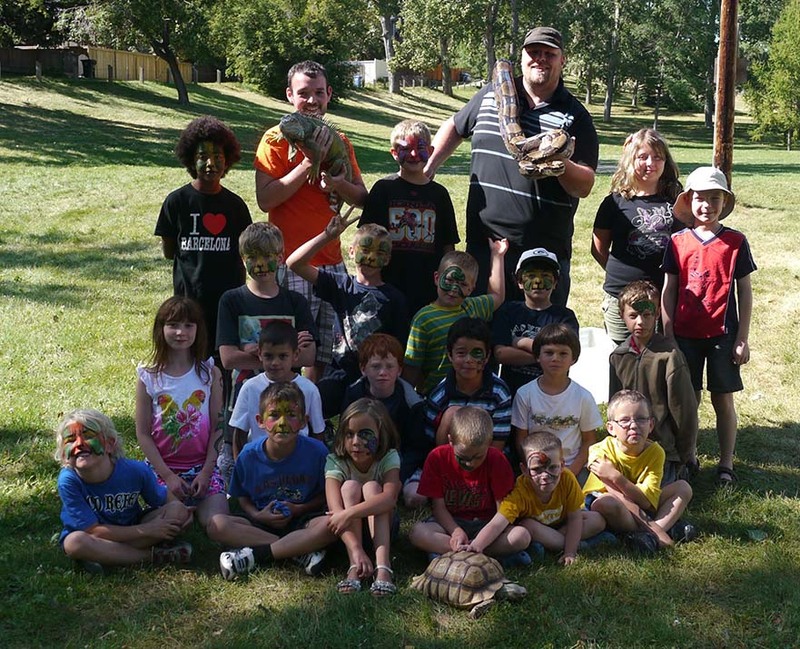 Everyone involved with the children truly loves reptiles and sharing their knowledge. I like that the camp is well-rounded with daily exercise, crafts and animal education. My daughter was so excited to tell me about everything she learned. Great job! - Joelle C.
The camps were at a very nice location. The staff were courteous, friendly, relaxed, fun, respectful and engaging. We loved the daily communications – a very nice piece for parents. It was the “full meal deal”- fun, educational, safe and well organized. - Joy H.
It was great seeing the smiles on my girls faces every single day and hearing their stories. My girls had an amazing week. Best summer daycamp they've ever attended. Three thumbs up! - Leslie C.